At least once in our lives we have somehow created an imaginary camera through four of our fingers. We created a rectangular frame with our thumbs and index fingers and simulated the clicking sound of a real camera. This is mostly for fun of course, but we can't deny we almost believed that these gestures were for real. Thanks to the efforts of the researchers at Japan’s Institute of Advanced Media Arts and Sciences, we maybe able to make this once-fun-gesture a new feat of technological reality. 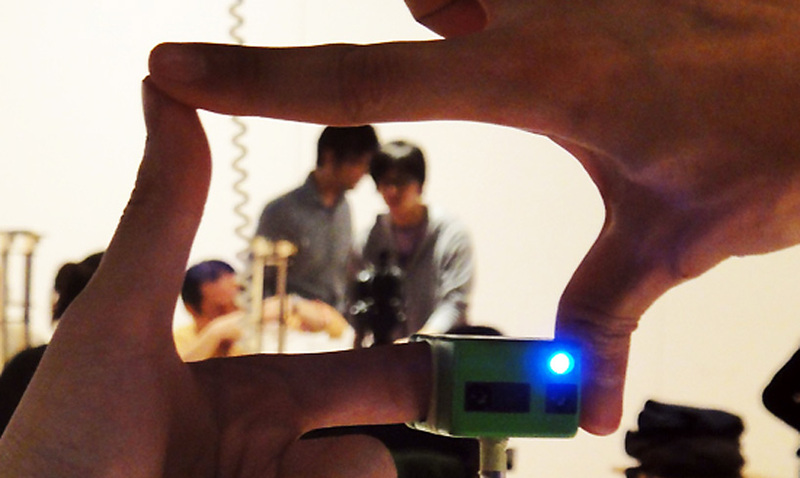 They have come to develop a new prototype of a finger-framing camera called Ubi-Camera. The project has still miles away to perfection, but at least we have a very clear path on what's going to happen in the world of photography. Now that photography is now a craze for everyone - Instagram, DSLRs and more -- this new wave of technology will certainly excite every photo enthusiasts. Unfortunately, this device is not yet available in teh market until such times all the hurdles in the camera are resolved. Now we only have to wish this device will be released officially so that we can have a taste of taking pictures by framing our fingers.